Blog - Vanguard Marketing International, Inc.
Why doesn’t the best product win? Many times the most innovative, elegant, technically superior, product does not win the business! The answer is difficult to face, and it is the basis of this paper. Artificial Intelligence; where to start? How Can Large Companies Pursue Emerging Markets? AR vs VR: Growth Opportunity or Hype? This year, across the many expanding exhibit halls, our analyst team has uncovered top innovations and enabling technologies that won’t disappoint! We know and believe they will transform markets and improve our lives in ways that we can only dream! Unmanned Systems convenes the largest global community of commercial and defense leaders in intelligent robotics, drones and unmanned systems. The conference covers every domain – air, ground and maritime – and industry, from agriculture and construction to energy and academia! This is the year of practical, ubiquitous computing – where our home, our cars, our drones and our wearables anticipate our needs! Ubiquitous means we don’t have to learn computing… for computers can now learn and perceive our world to help us make better decisions! Over the last couple of months, our team researched and interviewed subject matter experts in fields that provide innovative solutions for today’s industrial business operations. These thought leaders volunteered to join VMI’s “Topical Community” and provided us with cross industry-level insights and perspectives. We thank them for their contributions to the body of knowledge and to this key findings briefing. VMI returns once again to big data and the discovery process utilizing analytics technology to not only understand what has happened but what might happen and what should be done next in order to improve business performance and mitigate risk. Over the last couple of months, our team researched and interviewed subject matter experts in the Big Data Analytics Market, many of whom are either pioneering research at universities, delivering the tools and services to early adopters in commercial, civilian and defense markets, or implementing the capability within their own enterprise. These thought leaders volunteered to join VMI’s “Topical Community” and provided us with cross industry-level insights and perspectives. We thank them for their contributions to the body of knowledge and to this key findings briefing. Close to a square foot of LCD display screen has been sold to every adult on earth. The fact that low cost mobile devices are personal, taken everywhere, offer frictionless access, have sensors and cameras, know their location, are used for payments, are a social platform and are much easier to use, means they offer ten times the opportunities of desktop computing. At this year’s DEMO, in Silicon Valley, we saw forty companies launched in the following categories: Wearables, Home Devices, Drones, Smart Data, Messaging, Enterprise, Bitcoin, Personal Finance, Internet of Things, Mobile, and the Work Cloud. A look at DEMO, a technology-focused business conference where companies and entrepreneurs launch new products and services. Products launched at DEMO have included Salesforce,TiVo, VMware, Evernote, E*Trade, WebEx and Fusion-io. 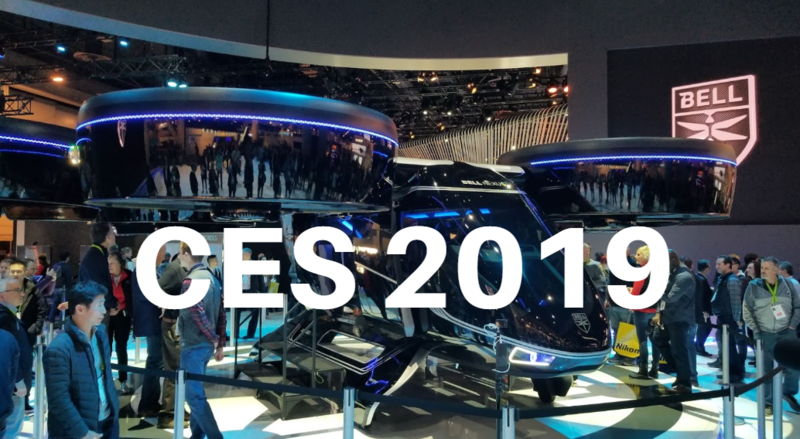 10% of the 3,300 exhibitors in digital health & wearables – More AR & Immersive Neuro Gaming – IoTS market to reach US$1.9 trillion by 2020 – A record nine car companies exhibited – not just their cars; but sensor and autonomous technology – Count them… 27 3D-Printing companies! – Sales of 3D printing goods and services to hit $3.7 billion world-wide. Top Trends in Visualization, Cognition, Behavior & Thought Alignment. What Thought Leaders are saying about leading trends in Visualization models and tools, and where they see the industry going. High Performance Mobile processors by Qualcomm and Nvidia; Both are driving power and connectedness through the industry between home, work, car, entertainment – Emerging gateways to Digital health and fitness – Driving Big Data opportunities and personalized health – On the Road Autonomy – Saving Lives… that’s what the automobile and insurance industries are telling us! – Immersive Gaming – 3D-Printers – Continue forward with new business models – Less obtrusive, more intuitive Human Machine Interfaces – Gesture, Touch, Eye Tracking, Thinking… you chose how you will interface to your world! Being “first to market” with a discontinuous innovation – While there are a number of possible entry strategies, this paper concentrates on the process that enables you to be “first to market” with a disruption! Unmanned Systems convenes the largest global community of commercial and defense leaders in intelligent robotics, drones and unmanned systems. The conference covers every domain – air, ground and maritime – and industry, from agriculture and construction to energy and academia. Back in 2004 we spoke with the CEOs and CTOs of top telecom ecosystem players about trends and issues that impact the communications infrastructure market. See what we found then and what rings true today. Leadership means shaping and creating the future through innovative solutions – not waiting for the customer or competitor to show you the way. Successful leaders believe that the best way to predict the future is to create it. Exploration seeks to find markets with a current or developing need for your technology or solution. It is an efficient, focused process for innovation. Once a new opportunity appears to be worthwhile or an existing solution is cresting, it should be validated by market thought leaders before you make a substantial commitment to pursue further investments in it. Addressing important unmet needs and providing customers with differential advantages in their markets is critical to building brand equity. If done correctly the market will embrace the value offered, resulting in your company achieving its true potential.